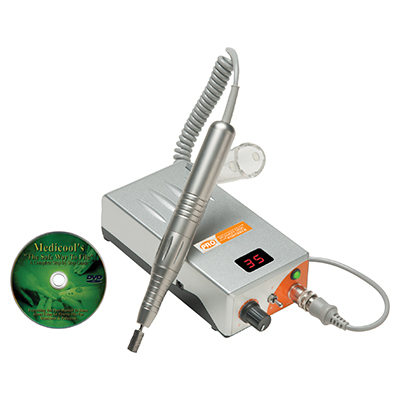 Portable and rechargeable high speed electric file system designed for the professional nail technician. Features 35,000 RPM, 20 hours of battery life (from one charge), variable speed control, lightweight hand piece, digital display, and forward/reverse direction. Accepts all standard 3/32" bits. DVD and holster included.